How to configure D3D smoke sensor? Smoke detectors have proven to be extremely useful in industrial applications and also in various other kind of home applications too. In case of any mishaps and accidents, the smoke detectors inform the intended person quickly so that they can soon take the necessary repair action and prevent from any further damage to occur. The D3D smoke sensors offer similar functionality and inform users via “Alarm” action and even through calls/SMS. Lets us take a look at how to configure D3D smoke sensor. 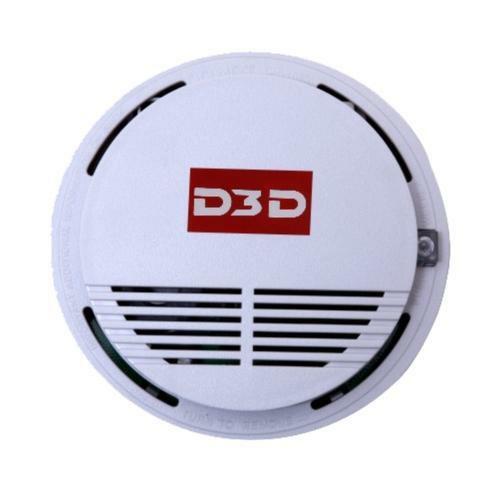 Step 1: The D3D smoke sensor comes in a plastic enclosure with a battery compartment to its back and a small window section to the front to let the smoke reach the sensor circuitry inside. The front section also consist of a PUSH TEST button. Insert the battery to its back and ensure proper electrical connection. As a part of confirmation, push and hole the PUSH TEST button to its front, and the two beep sounds with LED blinking ensure that the sensor is working fine. The D3D D9 security system allows you to configure up to 99 different sensors. Here by Turn on Device, it means trigger the sensor action. Once this message appears, press an hold the PUSH BUTTON key until you see an RF Code being displayed on the main control unit.